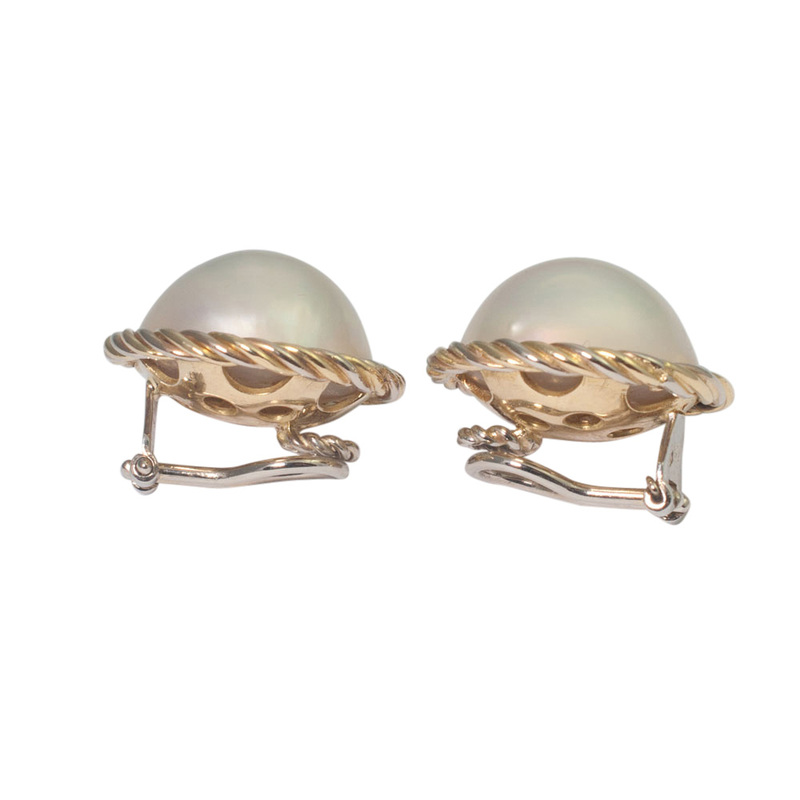 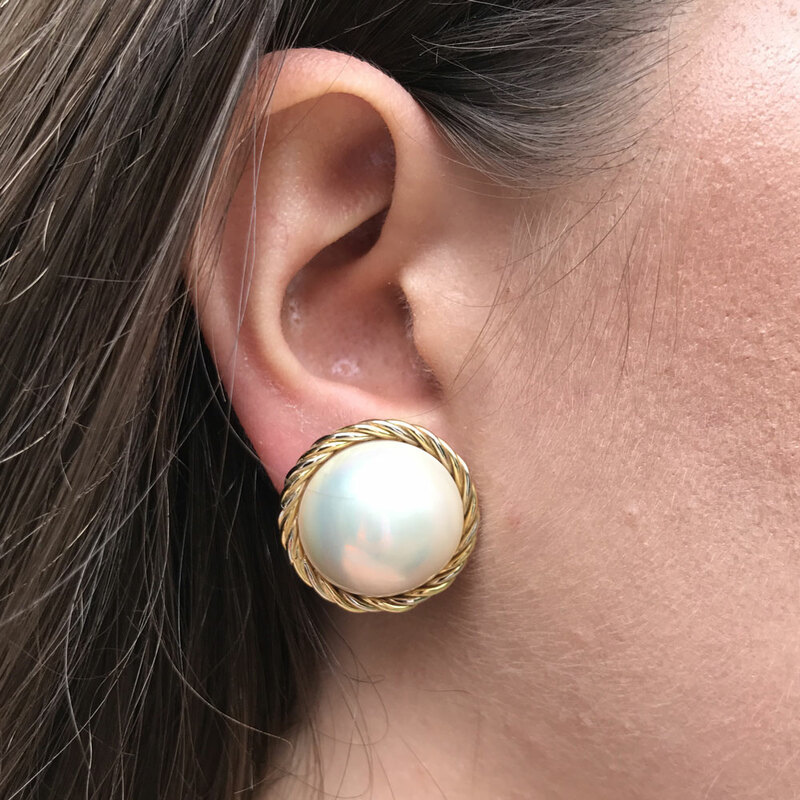 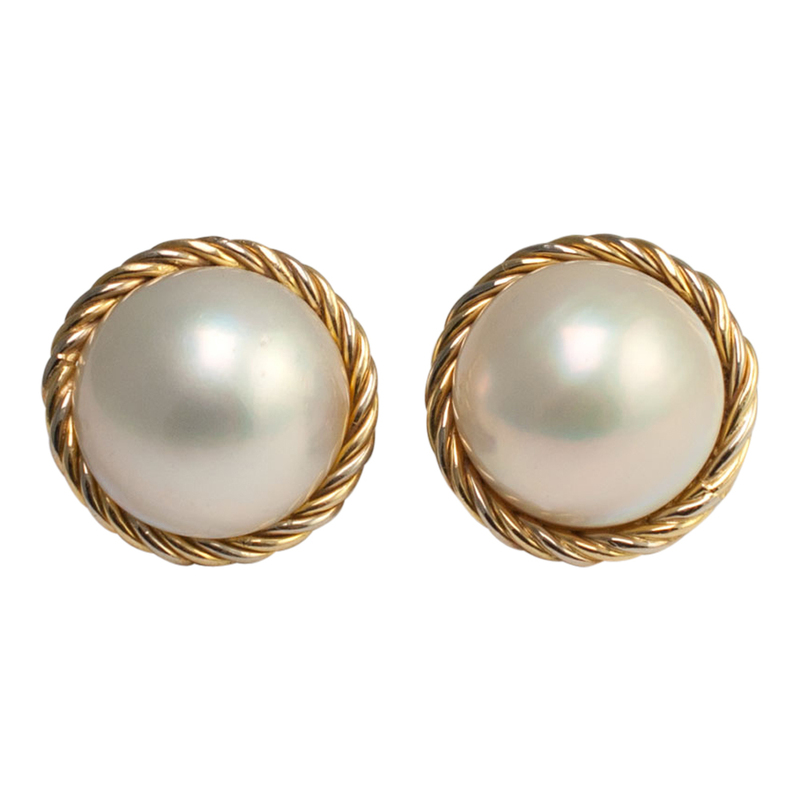 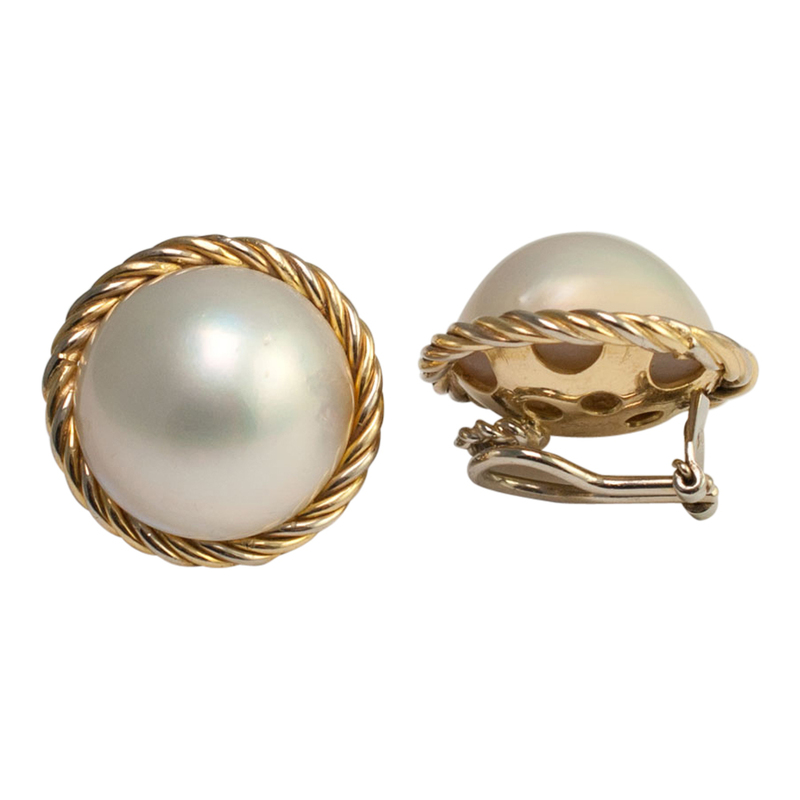 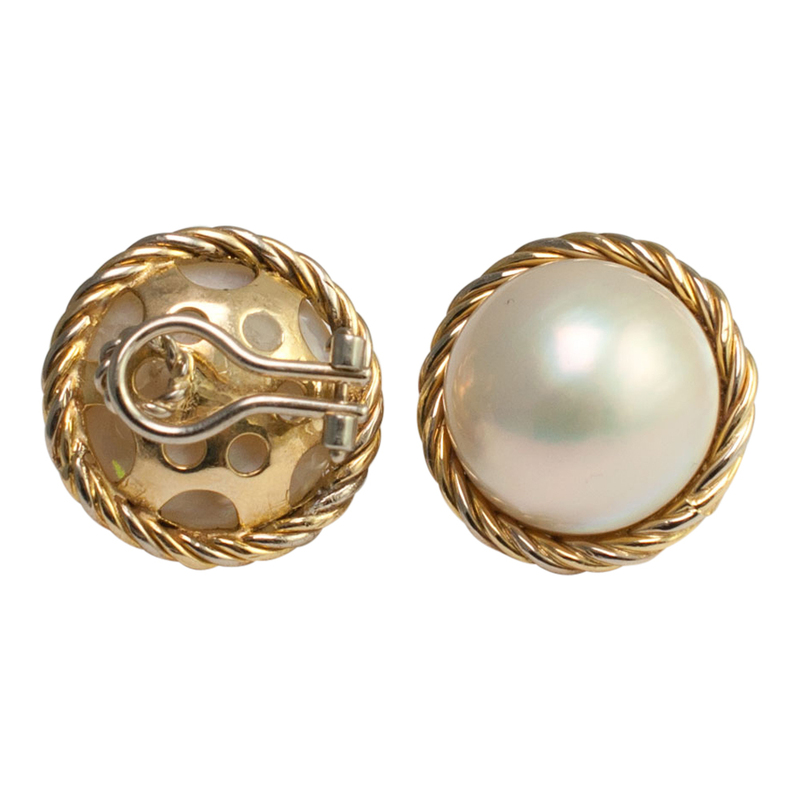 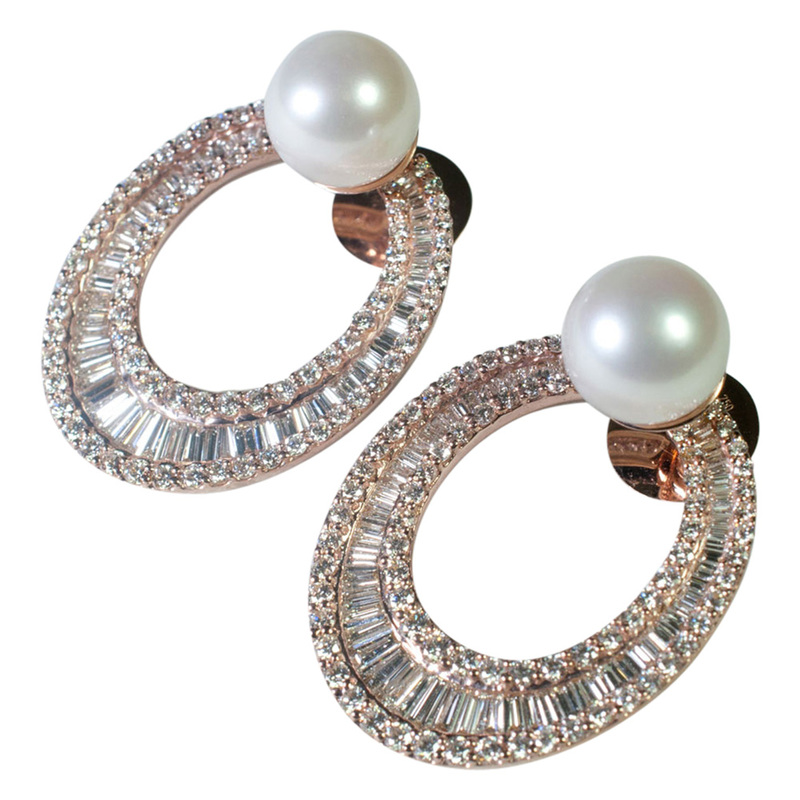 Large Mabé pearl and 18ct gold clip-on earrings for non-pierced ears. 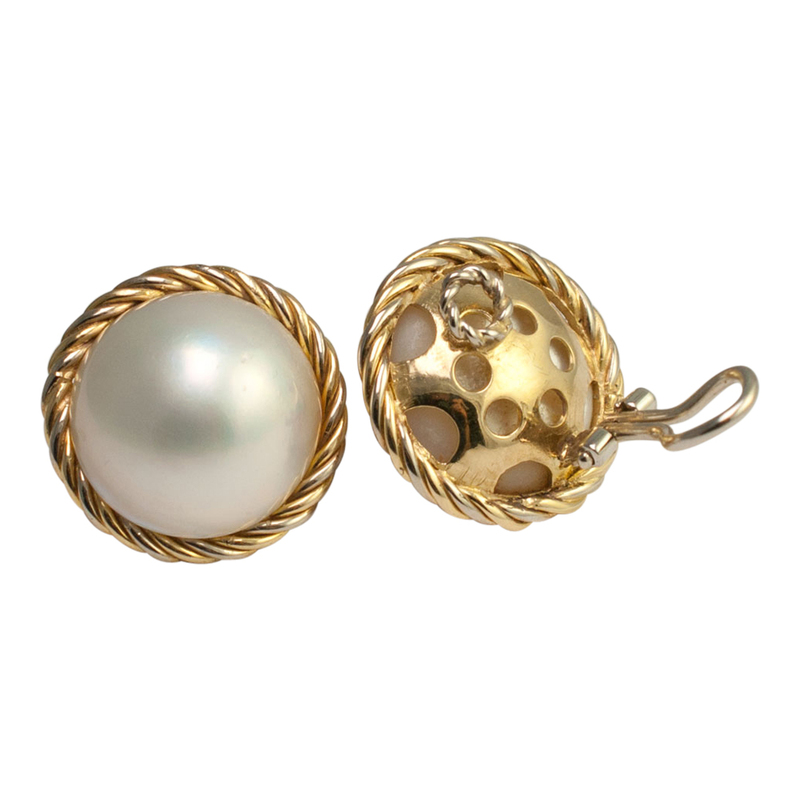 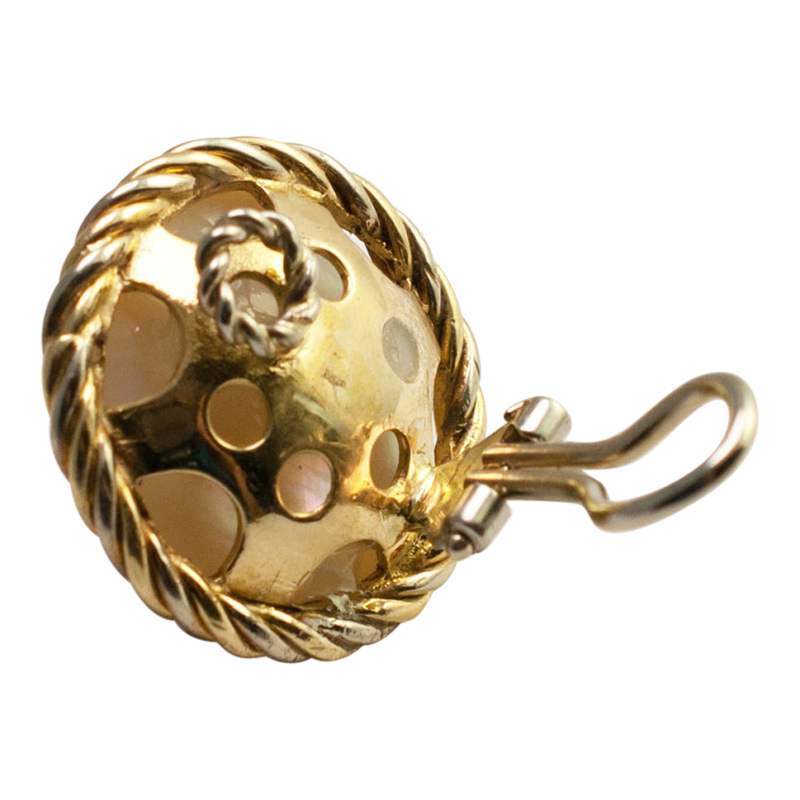 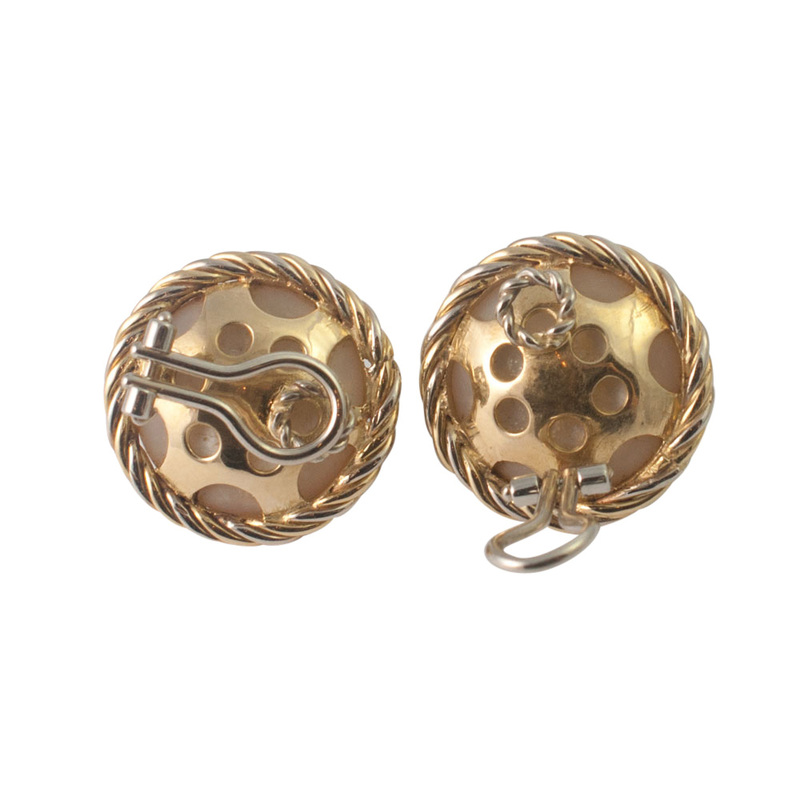 The pearls have a good lustre and are set into in a gold ropework design mount. 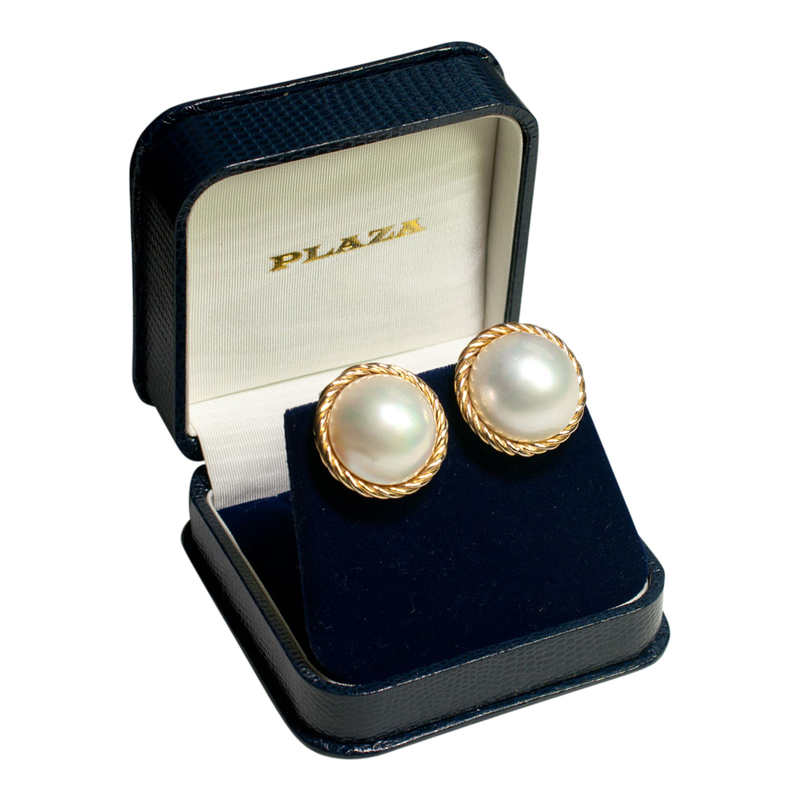 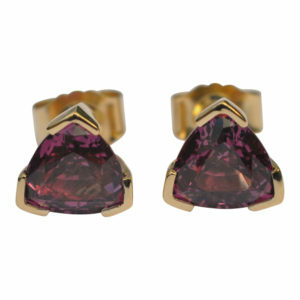 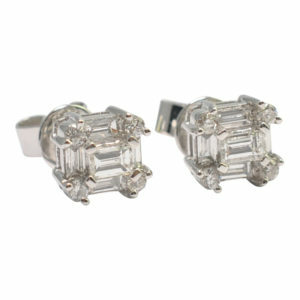 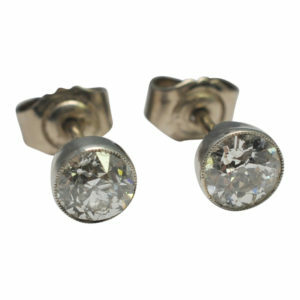 They are fitted with a solid clip which is in excellent working order. 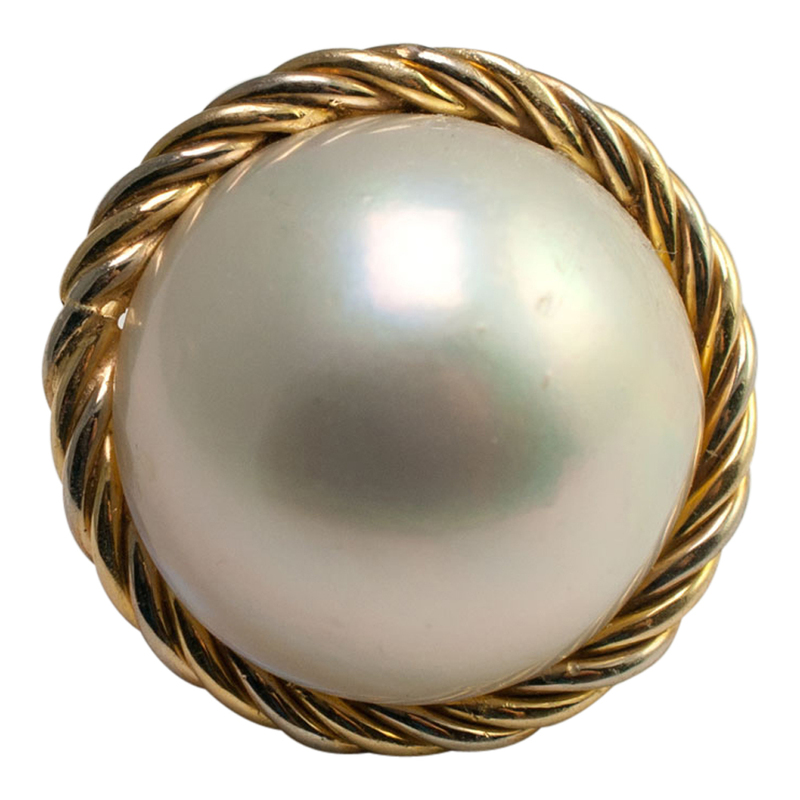 Stamped 750 (18ct); weight 23.7gms.